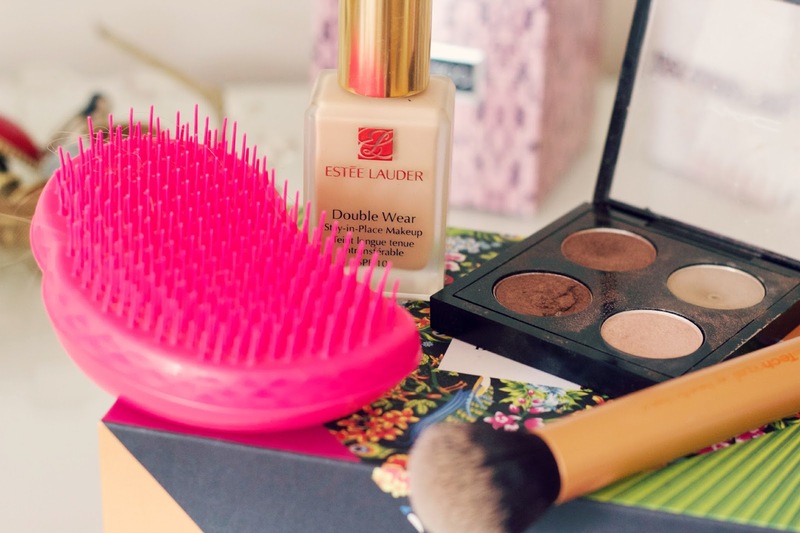 Recently I've dug out my Estee Lauder Double Wear foundation, I forget how much I like this. The coverage is great but the consistency isn't too heavy and it doesn't look cakey on my skin, it also lasts all day and I don't need to re-powder my skin at all. I have been using my Real Techniques Buffing Brush to apply it with, I stopped using this brush when I bought my Sigma F80 brush as I completely fell in love with that one. However for the past month or so I have been loving this brush again, the finish it gives is just amazing! I have also rediscovered my Mac eye shadows! I have been using All That Glitters (probably one of my all time favourite shades) over the lid and a mixture of Woodwinked and Mulch on the outer corner, Woodwinked is another of my top favourite Mac shades! Finally I am still loving my Tangle Teezer, I put off buying this for absolutely ages because I didn't think I really needed it. This is so gentle on my hair and I have completely put away all my other hairbrushes and only use this one! 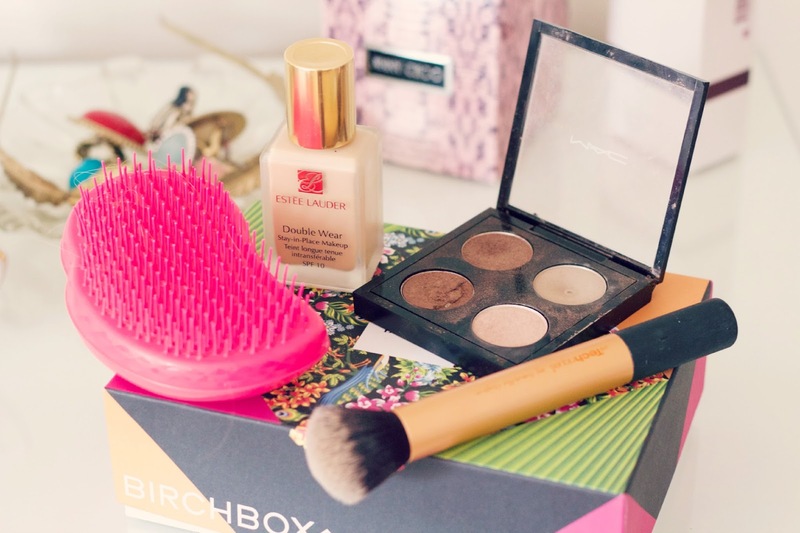 Nice post I have been using these mac eyeshadows all last week the are just sooo pretty! That Mac quad is stunning, I have never tried all that glitters and I have no idea why?! 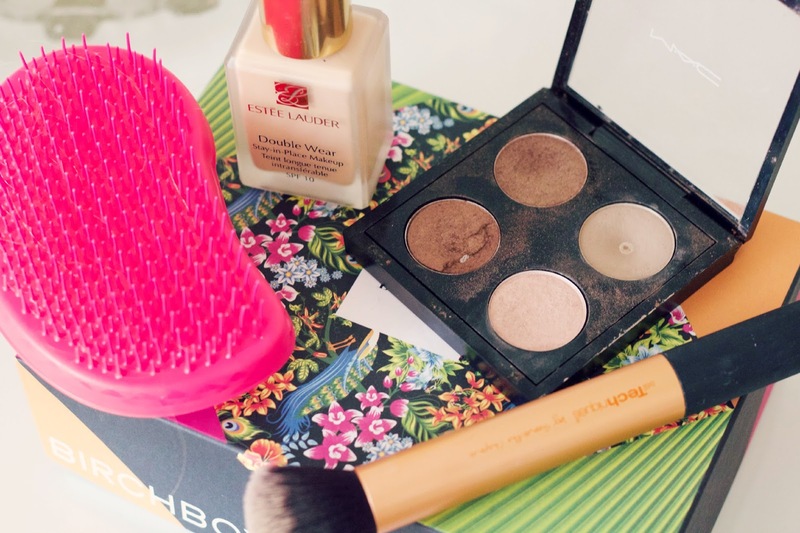 I love my Tangle Teezer - couldn't be without it!